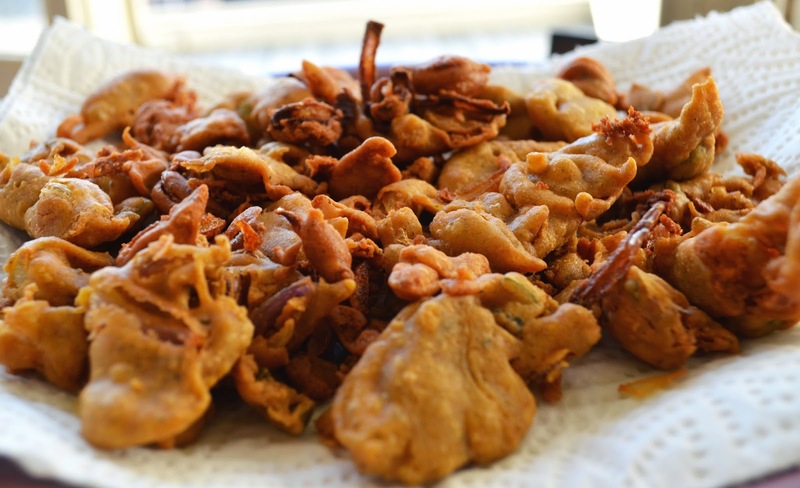 Tried making potato and onion pakodas so many times for evening tea time snacks.. today hubby suggested making onion bhajiyas for a change, and wow, these tasted well awesome and took less time too. First time try, and they turned out to be crispy and savoury. I served these with Coriander Chutney and hot cup of tea !! What an amazing combo ! !